Over the past month the Broncos have been splendid. Winning 4 games on the trot, with 3 of those coming on the road. They now sit with a comfortable lead in the West with a record of 6-3. 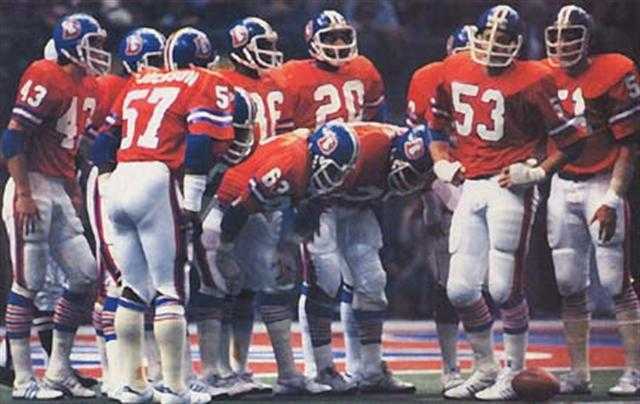 The season turnaround for the Broncos came against the sparkles in round one of this division battle. When the Broncos came back from 24 points down at halftime to steal the game. 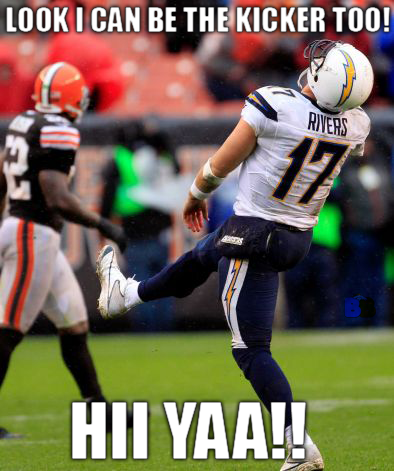 The Chargers however have dropped games to the Browns and Buccaneers with their lone victory coming against the last placed Chiefs. 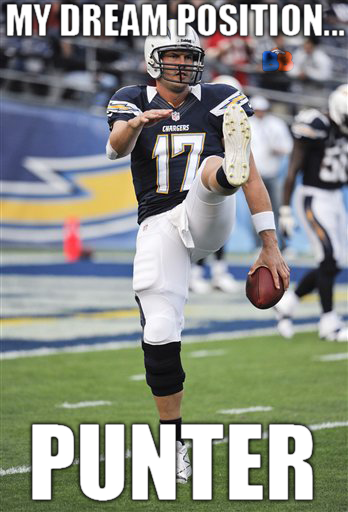 The Chargers now sit with a 4-5 record and sit two games back in the West. 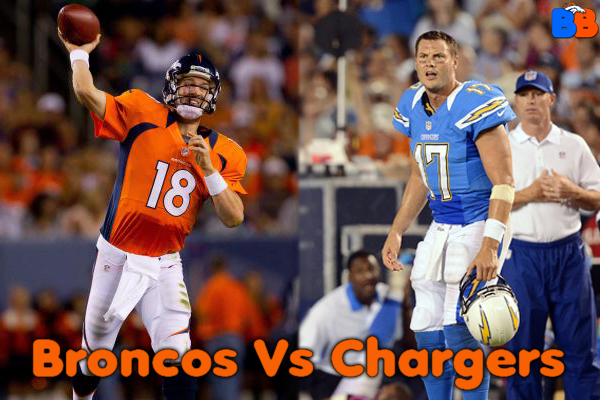 This week the Broncos host the Chargers at Mile High. If the Broncos were able to triumph it would give them a 3 game lead in the division. They would also hold the tiebreaker over the Chargers and you would think the AFC West Title. Unfortunately Doom was injured against the Panthers, but in funny news the Panthers Special Teams coach was fired. 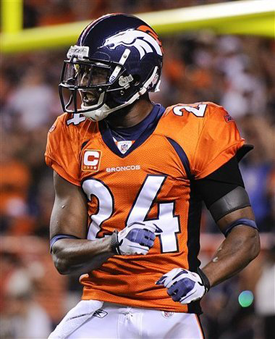 An MRI of Broncos RE Elvis Dumervil's left shoulder revealed "no significant injury." Hooray! 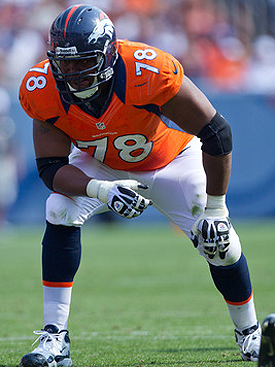 It's a major bullet dodged for the Broncos after Dumervil missed the final three quarters of Sunday's win. The Denver Post expects Dumervil to be questionable for Week 11, but he appears to be headed for a one-week absence at worst. Dumervil has seven sacks through nine games, though he's graded out near neutrally in Pro Football Focus' ratings. Duke Ihenacho was cut, he probably will be signed to the practice squad. It is assumed this is to make room for DJ. 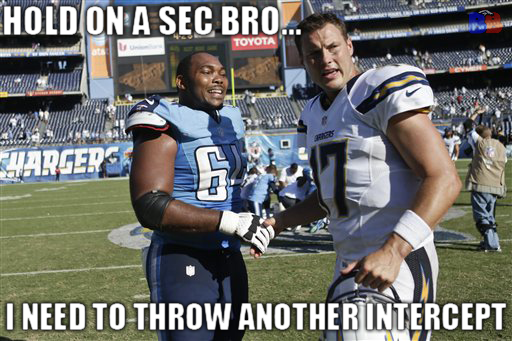 It was pretty interesting to see 4 Quarterbacks get injured last week. Two, Michael Vick and Ben Roethlisberger could miss some time. The berger has a serious rib injury. For lulz it looks like Brady Quinn may get another start. Plus he has been cleared to play. It was a big week for Tebow after he had done and said...well nothing. Tebow's teammates first hanged him out to dry. And then it looks like he doesn't have any trade value. Then Tebow had a sad. But Shonn Green wants Tebow to start...what a mess. Oh wait now he doesn't... The owner can't believe what he has gotten into and the state of his team. The Jets seem to forget that the only thing worse than Tebow is themselves. Scott and Cromartie say it wasn't them that talked to the media about Tebow. 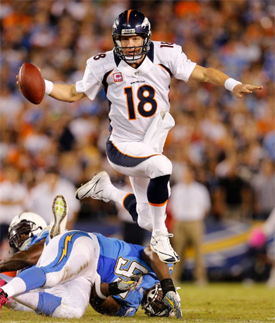 What else...Peyton Manning tops the pro bowl votes. Photos from wednesday practice, is it just me or does DJ look really lean? Peyton Manning was mik'ed up this week. It is pretty cool and funny viewing. There is yet another player claiming to be Optimus Prime, but we already know who Optimus Prime is and he is on our team. Dwayne Bowe says he wants to stay in Kansas...all lies. Von Miller got hit with a fine for a low hit on Newton. It seems a little bit harsh. I had some fun with a few Rivers pictures, enjoy, I did. Is there a better reason than watching the Dolts get punished? 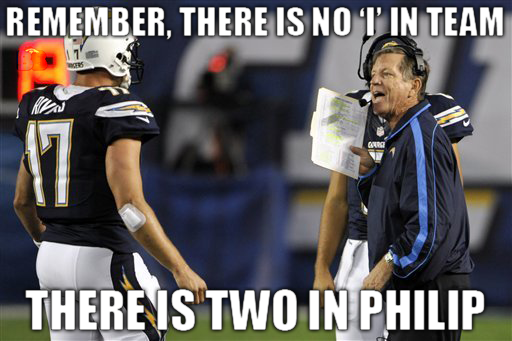 Head Coach Norv Turner and General Manager A.J Smith still have their heads on the chopping block. A lost could be curtains for one if not both of them. 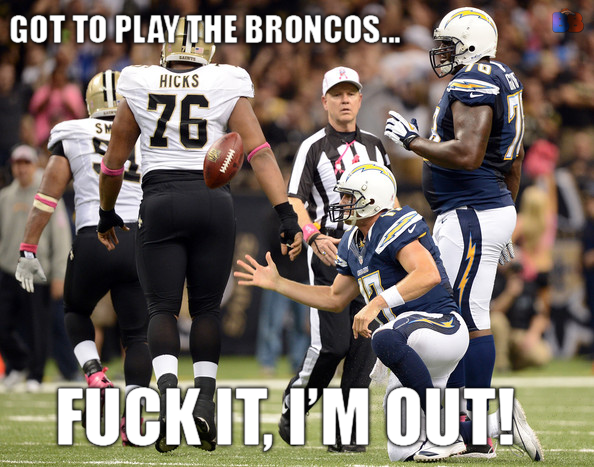 Alas Broncos Fans would be sad to see them go. DJ Williams makes his return to the team but in what position or role we do not know yet. Special Teams maybe? Willis McGahee has a mild case of fumblitis. Hopefully he will be healthy this week. There are favourable matchups across the park against this fading Chargers team. Peyton Manning should have plenty of time and room to get his passes off. Shaun Phillips and Melvin Ingram are the only real threats but the O-Line has done a great job stone walling the DL in recent weeks. Eric Decker needs a big game after having a poor one last weekend. After dropping a long pass against the Benegals he did not see any looks for the rest of the game. 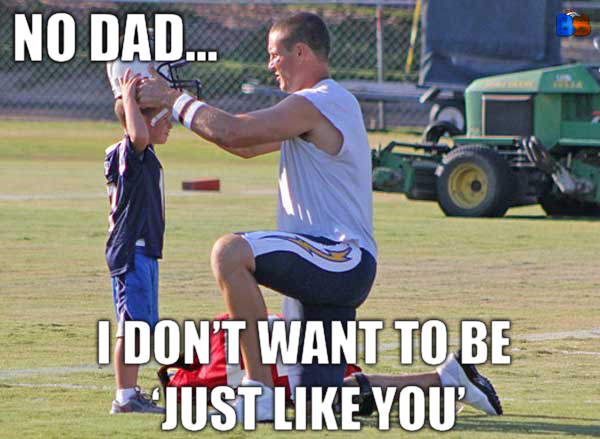 He should see more action against a poor Chargers secondary. The main question is the Broncos’ run game. It has significantly dropped off in the previous two games and will need a resurgence against the Chargers. I would not be surprised to see Hillman get a few more carries. Plus we may see more of the midget formation with Hillman and Holliday on the field. I would like to see Holliday get put into space, maybe a screen or reverse to set him up. 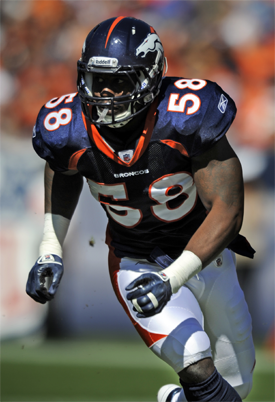 Defensive Line should be looking forward to his game and the chance to bring down Rivers. With Doom probably going to be rested it would be nice to see Ayers in beast mode again. 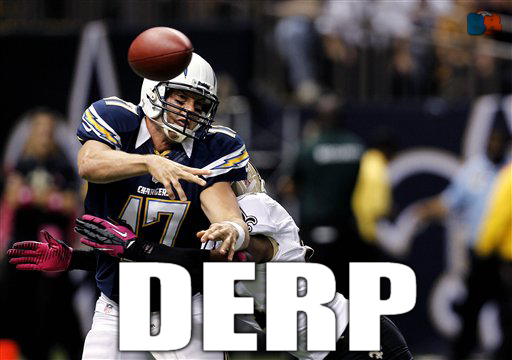 The Chargers pass game is of a little worry. We still can’t seem to cover a Tight End and the Chargers have one of the best in Gates. Hopefully we see more of Trevathan covering him to hopefully limit his touchdowns. The Dolts love going vertical and have a new toy in Danario Alexander who is finely healthy. It will be Harris or Carter’s job to lock this guy up. Which leads me to my next question, will Porter play this week? 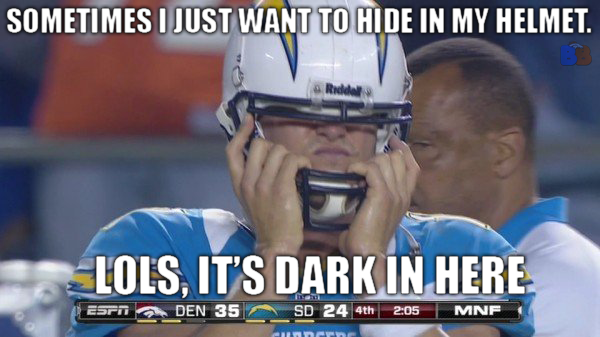 The Broncos beat the Chargers with 30 minutes of dominate play in their last encounter and with a full 60 minutes should do the same. 35-7, Go Broncos! The one thing the Chargers do know how to do is put together a cheer squad. Here is the team and the calendar cover. Eric Berry is afraid of horses. Here is Eric trying to explain it. That is it from me, enjoy the game ~ Aussie.